When the Texas Education Agency released its preliminary A-F ratings for schools recently, a lot of educators–and parents and students, for that matter–were up in arms. And rightly so. 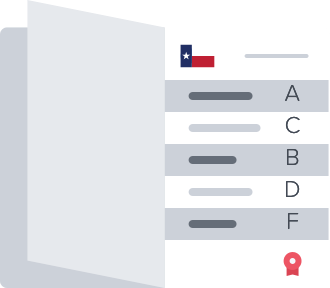 Across the state, critics of the preliminary system said the ratings discounted the quality teaching and learning that takes place every day in Texas schools. No school is perfect. Improvement is something educators, like students, aspire to daily. But it stings nevertheless when the good work you do feels like it isn’t counted. The solution lies with a well-thought-out local accountability plan–a necessity that many school districts across the state have yet to master. Here’s three steps you can take right now to improve local accountability planning and community engagement in your district. If you want to talk more about how to do this, my contact information is in my bio. I’m happy to walk you through it. Give your community an opportunity to say for themselves how schools should be judged. Find out what’s truly important to parents and teachers and students. My bet: test scores rank pretty low on that list. Based on the feedback you receive from your community, and provided you’re in a position to really listen, you might find that qualities such as engagement and overall school climate are more important. When you first start thinking about local accountability, the inclination will be to ask your community for feedback on every aspect of your school system. Resist the urge to throw the kitchen sink into your next district survey. Use up-front feedback to identify the areas that are important to the people who matter most. Then drill down where they tell you it counts. You can ask that other stuff later. Don’t let state legislators and others write your narrative for you. You know what an “A-plus” education looks like for your students and families. Make sure the people writing the rules and doling out the grades know it too. Present the data in the context of a compelling story–and turn information into action for your schools. These are just a few of the many ways that your school district can leverage the power of local accountability planning to highlight its success, and improve its standing with the state. Be the first to comment on "3 keys to stronger local accountability planning"